It’s a BOY! | "In good writing, WORDS BECOME ONE with things." 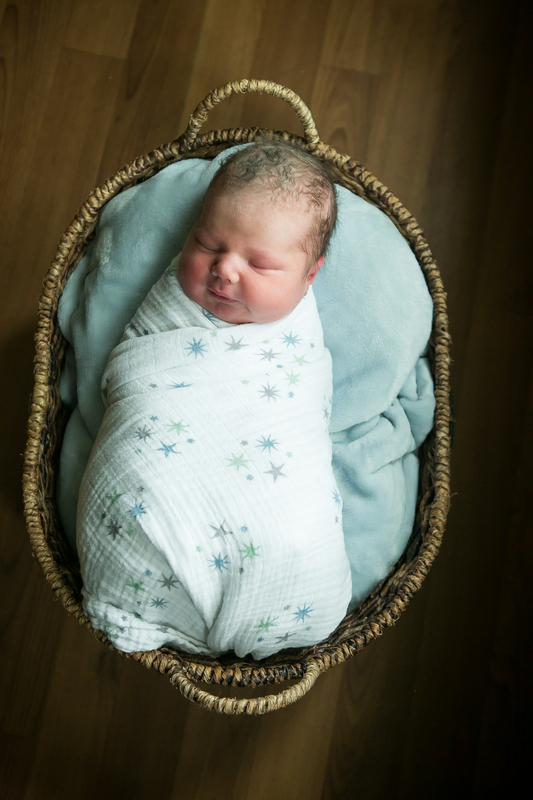 On what will certainly always be the greatest Mother’s Day of my life, we welcomed our precious son, Hunter Timothy Reph, into the world and our hearts. He shocked and delighted us with his abundant dark hair, olive skin, and astonishing weight of ten pounds, eleven ounces. That last part especially. Ten pounds. Nearly eleven. The doctors took one look at him and shouted “It’s a toddler! This is definitely my record baby for the year, hands down.” The nurses were shouting weight guesses, all over ten pounds, and Mike and I just stared agape. But what did we expect? His apartment previously accommodated a combined nearly fourteen pounds, so really Hunter was just trying to live up to the previous tenants. The day after he was born, Henry and Arden came to meet their new brother. They were so sweet, but also deeply in denial. 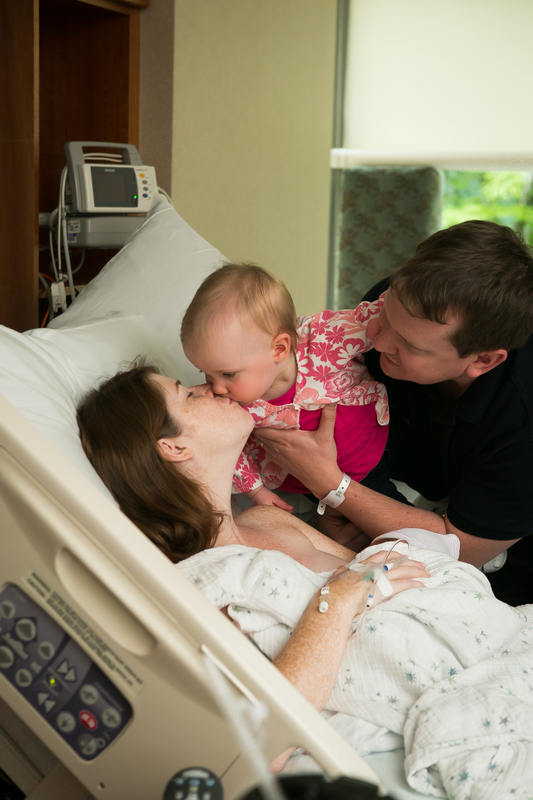 They didn’t like the sight of mama in the hospital bed, and they didn’t like the sight of this newcomer in her arms. Mostly they wandered around the hospital room and ate snacks that we’d ordered. By the end of the visit though, Arden was tenderly pointing out all of Hunter’s features. There’s his little ears, here’s his nose. Henry was having none of it. And that’s okay. We knew they have their whole lives together. 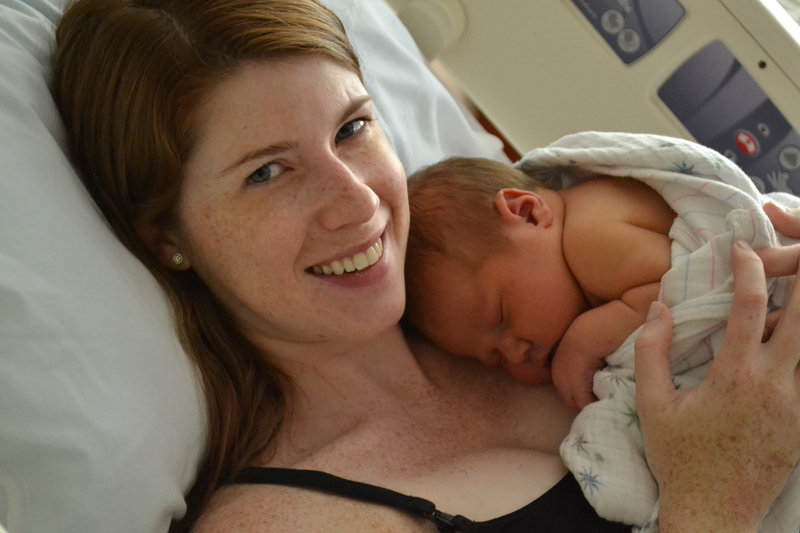 Hunter’s birth story is a doozy, one that I promise to tell before he’s twenty-one months old. Right now I’m still recovering, but I have the sweetest nugget of love in my arms, one for whom I would endure it all again in a second. 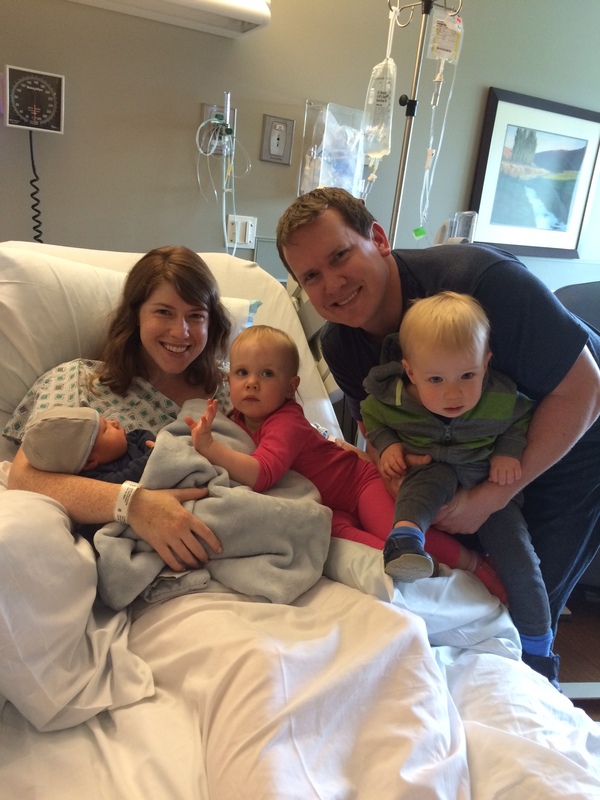 Mike and I cannot believe that we can love a baby as much as we love our twins, but it’s true — he’s spellbindingly precious, a gift from Jesus we will treasure in this new family of five. Great pics Abby and what a beautiful family you have!!! Congratulations on a precious, adorable addition to your Reph household! I love the pictures of the twins with him!